Do you have guests arriving soon? 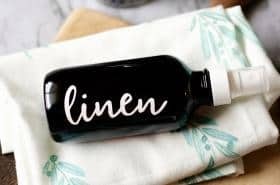 Don’t have time to clean your whole house? 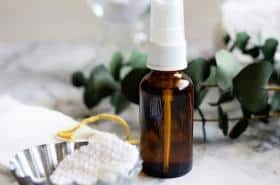 No worries, with a little help from this DIY carpet powder your home will smell amazing with a notion that you spent hours cleaning. Especially, when you use it just before your guests arrive! 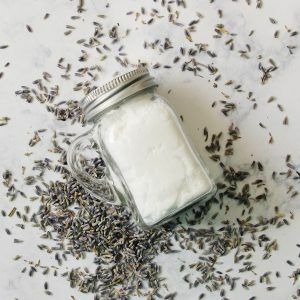 The ancient Roman Empire first used lavender to eliminate odors in household linens and clothing with lavender sachets. Today, we have powerfully concentrated lavender as an essential oil. 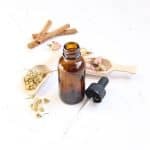 It is an excellent essential oil for eliminating unpleasant odors! 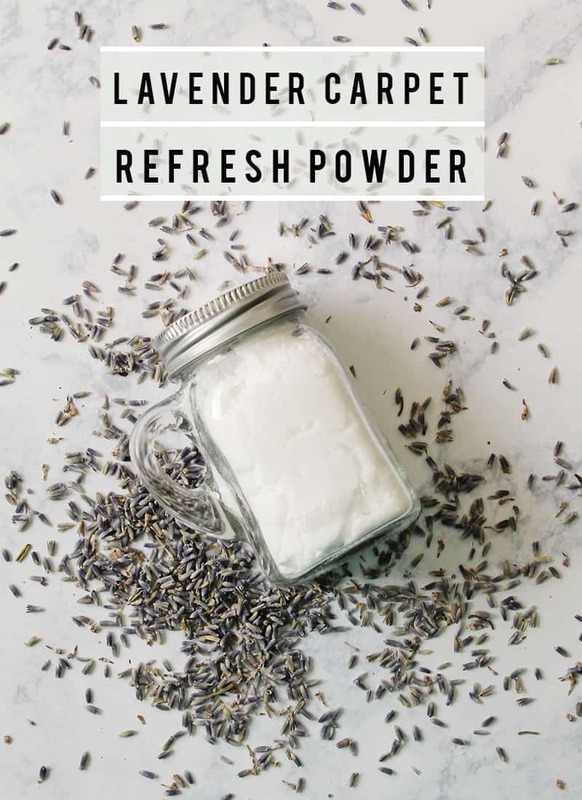 Use the deodorizing abilities of lavender in this DIY carpet powder. Apply it to your high traffic, carpeted areas such as the living room carpet, stairs, and hallways. All of which can collect quite a lot of dust and pet dander. 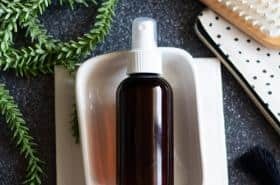 Learn more ways to use essential oils in my best-selling book Aromatherapy: A Practical Guide for Home and Family. 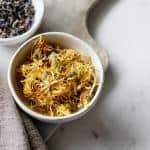 This recipe was originally published in my column of this month’s Willow and Sage magazine. 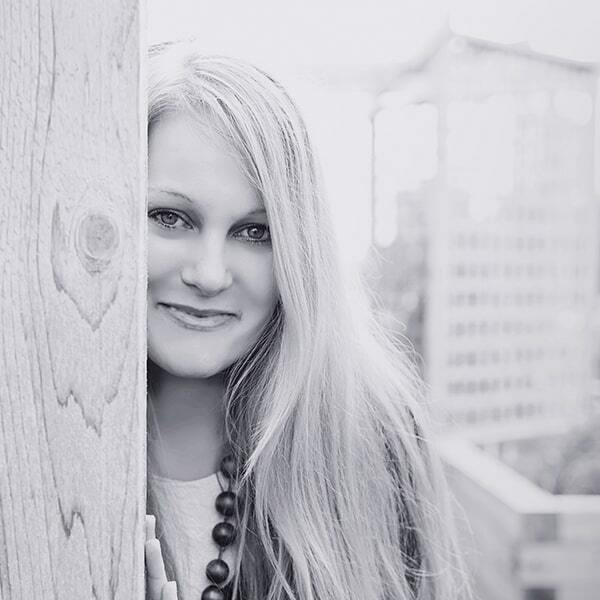 In the article, I walk you through your home, room by room. 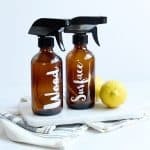 Sharing several natural and convenient ways to use lavender flowers, buds, and essential oil to freshen each space. In a small mixing bowl combine 1/2 cup baking soda and 1/2 teaspoon lavender essential oil. Stir until all baking soda clumps have dissolved. Then pour carpet powder into an airtight container to store or distribute into handy mason jar shakers. 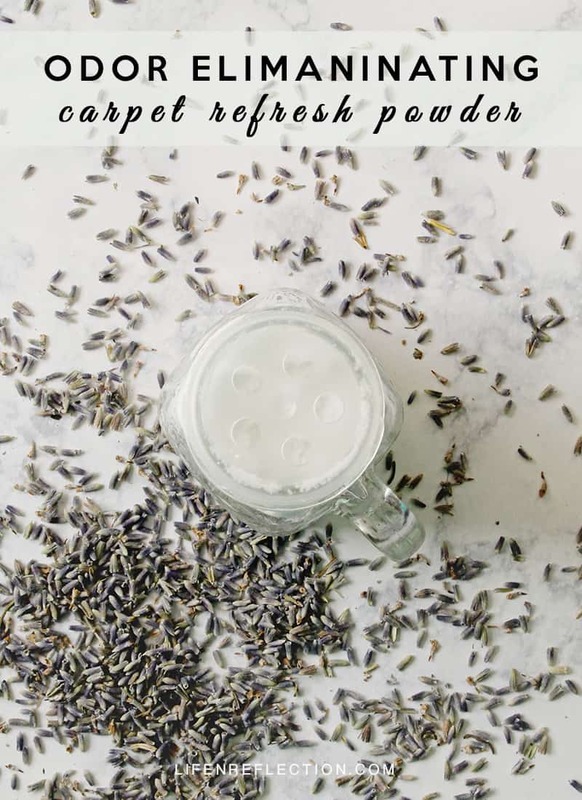 Sprinkle lavender DIY carpet powder over rugs and carpeted areas. Then, let it stand for 5 to 10 minutes. Vacuum to reduce odors and release the fresh clean fragrance of lavender. 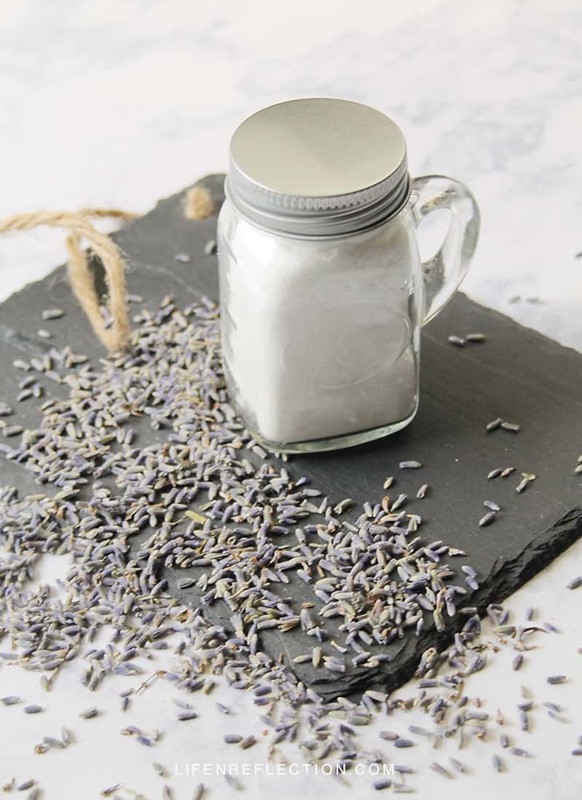 Use lavender buds and essential oil for a pleasant clean floral scent with my recipe for Pressed Flower Mason Jar Candles or try it in one my most popular recipes – Vanilla Lavender Linen Mist today!